Select the magnifying glass icon to expand the product view. Essential recipes and words of wisdom for expecting and new parents. Over 60 midwives and prenatal providers listed, who give words of wisdom and recipes. The introduction is written by Shafia M. Monroe. The Black Midwives and Prenatal Providers’ Directory 2007, was created and published by Shafia M. Monroe. It is a 6.5 x 6.5 glossy spiral bound, 83 page one of a kind, collectible item. The directory has over 60 midwives and prenatal providers listed, who give words of wisdom and recipes. The introduction is written by Shafia M. Monroe. Recipes range from a Chinese placenta medicine, a castor oil dressing, a vegan alternative glucose drink, and more. This is resource that you want to have in your library. Shafia M. Monroe personally signs each book. 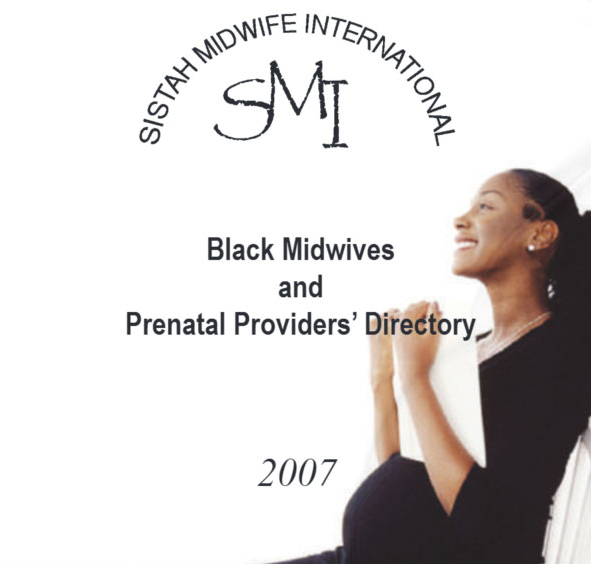 The Black Midwives and Prenatal Proviers’ Directory 2007 is the original. This is a limited edition. Be the first to review “Black Midwives and Prenatal Providers’ Directory” Click here to cancel reply.